Medicine Box is a multi faceted cannabis brand based in Nevada County and Lake Tahoe, California with a soil to oil philosophy that achieves its results through mindful cultivation and innovation. Where ALL things are medicine; nature, music, food, mindfulness, community, collaboration, advocacy, recovery; cannabis is the evolving medium that weaves it ALL together. While the ethos of Medicine Box compose our visionary landscape, the Medicine Box brand stewardship is one of practicality. We take a mindful approach to complete quality control over the supply chain, direct to the end consumer. We choose plant genetics that comprise specific terpenes that will be utilized in our end products. Healthy soil equals healthy plants. Healthy plants are extracted into healthy oils with whole-plant derived terpenes. High quality oils of terpenes infuse well-curated products. Well-curated products are marketed through education. 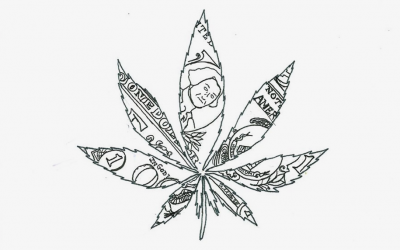 Marketing through education stimulates canna-curious consumers. Curiosity evolves into happy consumers who intend to infuse their well-being with a happier and healthier quality of life through the use of our products. A heightened quality of life creates a culture that is dedicated to cannabis as part of their health and wellness program. A culture that can thrive with health and wellness surrounding cannabis shifts mindsets. Shifting mindsets inevitably creates change. Medicine Box was created with this soil to oil process in mind to simplify the stigmas around cannabis. Authenticity and transparency around this plant is the future. It is paramount for the Medicine Box mission to align with innovative collaborators that share our value systems and the quadruple bottom line consciousness of people, planet, patients, and profits. The Medicine Box team is an entourage effect of individuals that are extremely passionate about the cannabis plant and the industry. The synergistic blend of skill sets that we each combine brings a unique perspective to the Medicine Box vision. Long time cannabis cultivators, free thinkers, advocates, patients, herbalists, culinary experts and open minded humans give Medicine Box its constant evolution that life is medicine. In 2002, Brian Martello Chaplin traveled west to Lake Tahoe California with $1,000, a backpack and his guitar to pursue the ski bum lifestyle. After several years supporting his skiing and travel habits working in the food and beverage industry there, he moved to the San Francisco Bay Area. Randomly integrated into a project in Oakland in 2009 he discovered that he could apply his experience and the knowledge he gained from a degree in Environmental Studies at the University of Vermont to the underground world of cultivating medicinal cannabis. 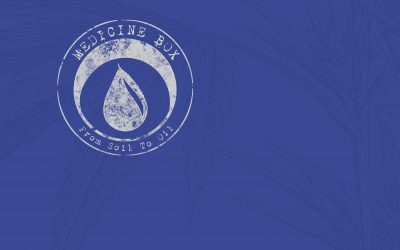 Consistently refining cannabis concepts from year to year since 2009, with roots planted back in Lake Tahoe and the Nevada County foothills he started to conceptualize the ethos of Medicine Box in the winter of 2016 while recovering from a skiing injury as well as taking a journey of self-exploration. 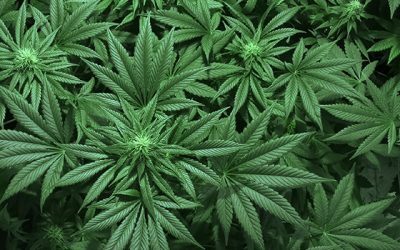 Yearning to come out of the cannabis shadows and deliver a positive message with the vision that the majority of humans across the globe shall replace the contents of their medicine cabinets with a cannabis health and wellness supplement he quickly sought out to bootstrap and execute this vision. While working with the plant itself is deeply gratifying, his greatest strengths are building collaborative relationships that align with the Medicine Box vision, experimental production models and interfacing with the community of Nevada County CA as a board member of the Nevada County Cannabis Alliance. From the soil to oil pendulum of Medicine Box and its mission statement of “Mindful Cultivation & Innovation” it is clear that Brian’s true passions lie within the culture of cannabis and the California lifestyle. With Medicine Box, he bridges the gap between his passions and visions with creative grassroots business concepts. Remaining true to the medicinal value of cannabis, the cultural and social dynamics of its evolution Brian and his dedicated team navigate the many nuances of the cannabis movement. He consistently positions himself and the evolving Medicine Box company with the support of his collaborative team on the emerging trends of cannabis culture throughout the state. 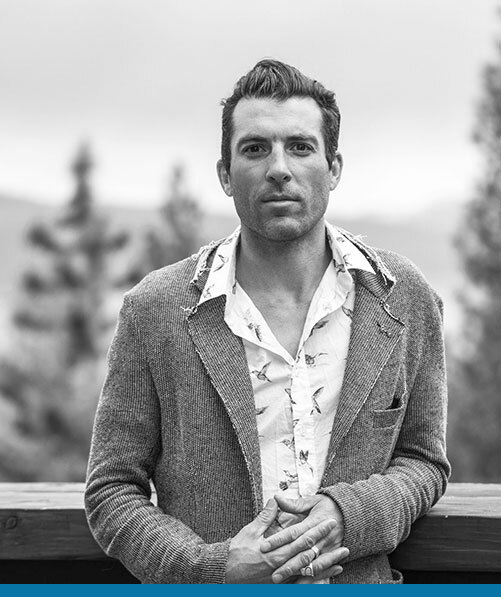 When he’s not developing his vision for Medicine Box and the cannabis community you can find him seeking inspiration skiing at Squaw Valley, hiking in the Sierra Nevada mountains with his husky Phoenix, swimming along the shores of beautiful Lake Tahoe, mindfully flowing in a Qigong session or picking away at his acoustic guitar. An epicurean of life’s simplicities, he is also fond of Pellegrino, Bulletproof Coffee, dining out, his epic friends and family, and open minded free-flowing conversation. Brandy Reaves comes from a family of farmers who immersed her in the cannabis culture at a young age. In 1989, at the age of 14, she moved to the San Juan Ridge in Nevada County which further solidified her relationship with this healing plant. At the age of 18, when her classmates were going off to college, she was flipping the switch on her first grow: two lights in her bedroom closet. The years went by and she mastered the indoor growing scene while maintaining a 9-5 job. She learned to do purchasing and bookkeeping while working at Mountain Peoples Wine, a family business. During this time she also started her own family. When she was 8 months pregnant with her first daughter, she looked down at her belly and realized that she must find a way to cultivate cannabis sustainably. 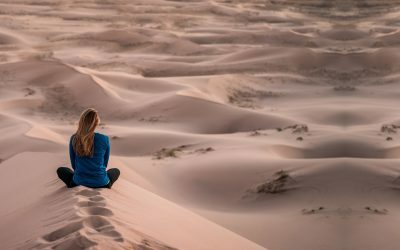 Neither procreation nor cultivation leaves a small environmental footprint and she wanted to leave her child with a future on this planet. When her daughter was young, she went to work for her dear friends who were starting a small, organic gardening store. They needed someone to set up the books and sit in the office, with the hopes that other cultivators out there who wanted to grow in a sustainable fashion would come in to purchase supplies and learn. Working with her friends was so much more than a job and she became passionate about organic farming and loved her work. As it turns out the organic, soil-building way of cultivating both cannabis and food took off and their humble farm center would become Vital Garden Supply. 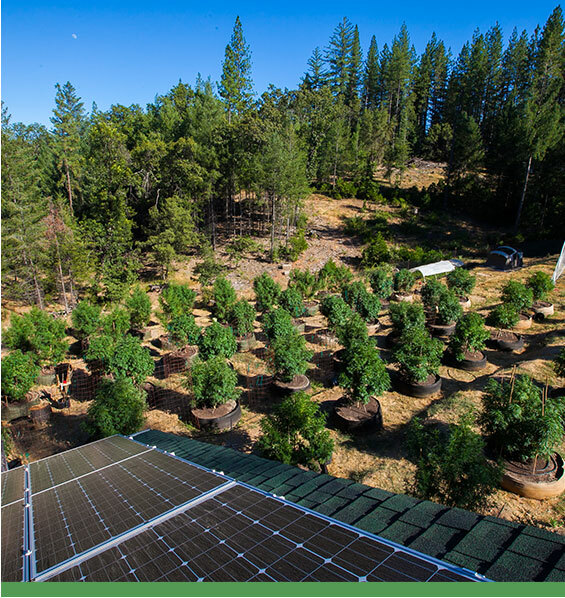 Twelve years later, that humble garden center has served thousands of Nevada Counties finest cultivators and established itself as an industry leader with a thriving local and statewide business. As the crash and shift of the cannabis market took hold, Brandy was plagued by both a neck injury and burnout. These changes forced her to re-evaluate her life path. It was during this transitional time that she became fast friends with Brian Chaplin, founder of Medicine Box. Brian was aware of the shifts in the industry, so he was in the process of transitioning his farms to be strictly organic and actively taking the steps needed to carry his brand to the other side. He sought Brandy out at a birthday party and asked if he could set a time to pick her brain. His enthusiasm and take-charge attitude surrounding the changes in the industry were infectious and became the sparks needed to reignite her passion for cannabis. She slowly started to integrate into the Medicine Box family. Medicine Box was in the first stages of the startup world and needed much of the same attention that Vital needed in the beginning. Brandy’s initial contribution of consulting, as a friend at no charge, quickly turned into a salaried position and eventually a partnership. Staying true to the startup playbook, all the team members within Medicine Box wear many hats. 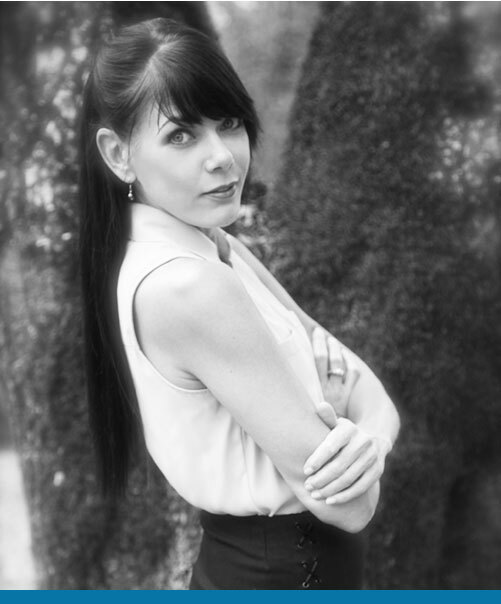 Brandy Reaves is the current COO and controller at Medicine Box. She also manages the plant care, properties, and books. Transplanting, scheduling, packaging, and managing the human factor are all in a day’s work. The cultivation aspect of Medicine Box is a pillar of our soil to oil pendulum. It is at the collective of farms where mindful cultivation and innovation is born. This collective of farms is spanned across two distinct appellations in the region of Grass Valley, California within Nevada County. Spanning from 1400’ elevation to over 2500’ in the undulating Sierra Nevada foothills, and all the way up to the 5000’ Truckee, California. The Mediterranean climate here in the foothills of Gold Country consists of hot dry summers and mild wet winters which make it one of the most suitable climates in the world for artisanal craft cannabis cultivation and for the “back to the land” people that ignite the vibrant global culture here. 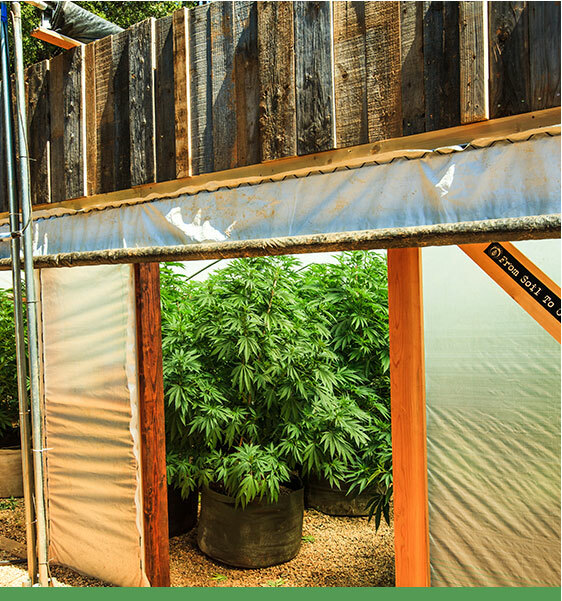 Our small and medium-sized, or “cottage” grows are a combination of 2500 square foot greenhouses and sun-grown cannabis sites. Influenced by organic cultivation techniques and elements of sustainable design, it is at these homesteader sites where the foundational root systems of the soil to oil pendulum are forged. The Cedar Ridge Appellation is tucked within a myriad of rolling hills, windy roads and clusters of Jeffrey Pines and California Black Oak Trees. The Temple cultivation site is a custom built 2500 square foot greenhouse that is nestled within the humble property that also serves as a homestead for Medicine Box crew members. Beautiful south facing sun beams its way through the forests throughout the day making this site a team favorite for gatherings, it’s landscape aesthetics and of course the quality of cannabis that is cultivated on it. The Medicine Box Truffles are great! I suffer from insomnia and lots of pain. I use them for sleeping. Right before I go to sleep I’ll eat 1/4 dose. I sleep much better and have less pain in the morning. I’m not a big fan of Big Pharmacy products so this is perfect for me! Thank you for the high quality medicine. I highly recommend to all my friends that suffer like me! Being a Army Veteran who has severe depression and a Trans man dealing with dysphoria on a daily basis, I strive to seek out amazing quality products and that is exactly what I received. The medicine bars are perfect for when you want an extra pep in your step. I love having a nibble before getting my movement on, whether hiking, running or yoga. These bars always give a nice subtle pop of energy and so I also enjoy having a few bites throughout the night when I’m up and out. Out of all the hundreds of health supplements I have used and discovered over the past 20+ years Medicine Box tinctures remain in my daily use, top 10 non-negotiable.